Men, if you're searching for the secrets to a successful marriage, you'll find the answers within these pages. Learn the keys to understanding your wife, keeping her secure in your relationship, creating a sense of teamwork, and nurturing her needs. In an easy to understand acrostic, Dr. Stieglitz lays a foundation for husbands. H-Honor, which a woman must receive to stay emotionally connected in marriage. U-Understanding, which is essential if a man is to understand the unique temperament, gifts and abilities of his wife. S-Security, which is the key to a woman's spiritual connection to her husband. B-Building Unity, which is the constant job of the man so that the pressures of life do not destroy the marriage. A-Agreement, which is a system a man must establish and manage so that both husband and wife can enthusiastically support the decisions that are made. N-Nurture, which means that a man must provide all that his wife needs to blossom as a person, mother, worker, friend, and wife. D-Defender, which is what the man must clearly become or his marriage, family, and life will be left unprotected and often destroyed. As the culmination of hundreds of hours of counseling, study and mentoring, Becoming a Godly Husband represents one of the most successful marriage counseling manuals on the market today. 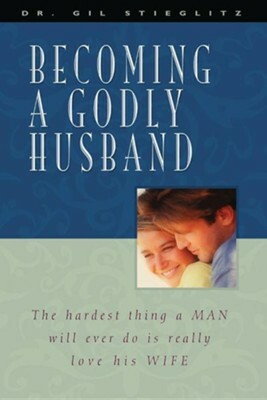 I'm the author/artist and I want to review Becoming a Godly Husband.